Update July 12, 2008: Please see this post for updated stash sale info. And that last item is what bwings us togevaaaaaaah today. Let’s face it, I have no use for bulky wool in Texas. So I beg of y’all who have actual winters to please take some of it off my hands. 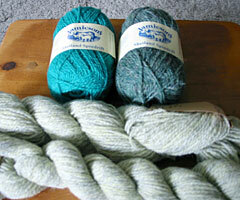 Along with some orphan yarn and yarn that I’m just tired of looking at. 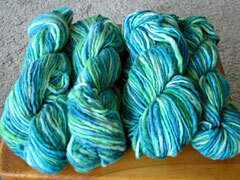 All yarn has been stored in drawers or plastic ziploc bags in a smoke-free, pet-free home. 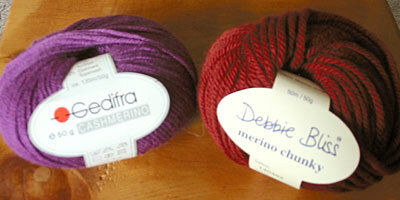 If you’re interested in any of the yarn listed below or if you have any questions, please send me an e-mail. Prices listed are in USD and include first-class shipping to the contiguous 48 states. Part of one hank was swatched and ripped out. Others have never been knit. There’s over 230g here, probably around 340 yards. Was knit into a scarf and frogged. 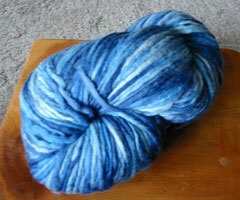 Yarn has been washed and dried and is ready to go again! The two hanks on the left (approx. 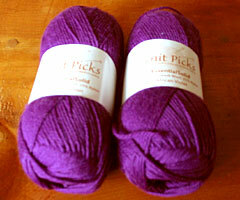 120g) were salvaged from this scarf, washed, and are ready to knit again. Two hanks on the right (approx. 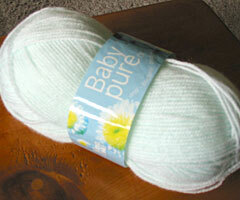 120g) have never been knit. About 340 yards total. This is colorway 116. Part of ball was used for a fabulous scarf; this is what’s left over. There’s a little over 85g here, enough to make a small hat or a small pair of mittens. Or felted flowers! 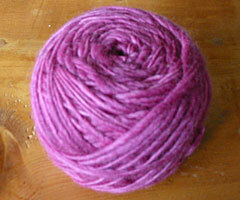 Laceweight, sock yarn, and more after the jump! 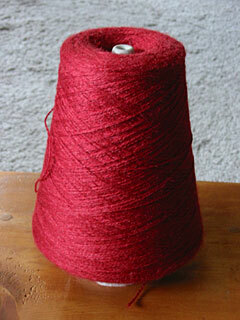 This is the leftover yarn from the Curved Shawl with Diamond Edging. I started with a full cone weighing just over a pound, now it weighs just under a pound (including the paper cone in the center). I’d guess there’s about 4000 yards left, at least. The color is African Violet. But it hasn’t found its pattern soulmate yet, and I’m starting to think it will have more luck in your stash. Jade (#787). This is a VERY bright green. Turf (#144). Heathered forest green/mossy brown. 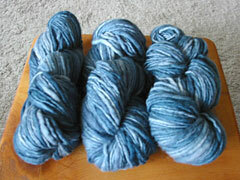 Rye, 2 skeins (#140). Heathered off-white/grey with a hint of yellow. A 135m/50g ball. Enough for a baby hat. Color is #1446. A 50m/50g ball. Enough for a baby hat. Color is #140402. I have extra copies of the sold-out Fall 2006 issue of Interweave Knits and the Spring/Summer 2006 issue of Vogue Knitting. The latter is still in its plastic wrap! 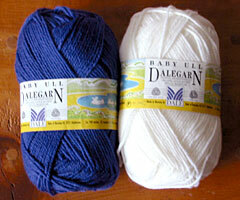 Will ship media mail if you don’t buy yarn too. I also have an extra copy of a trial issue of Cook’s Country magazine that I will be happy to throw in free with any order. Recipes include Hearty Beef Stew, Oven-Fried Chicken, Quaker Bonnet Biscuits, and Ambrosia Cake. If you buy over the weekend, it will ship out on Monday. Anything bought after Monday will ship out in about two weeks, after my wedding (eeeee)! Back now! Things will ship immediately! Questions? Contact me! CogKnition posted this on June 27th, 2008 @ 7:40pm in Yarn | Permalink to "Please Take Some of this Yarn Off My Hands"
I can’t buy any (I’m on a yarn diet), but congratulations and well wishes on your wedding and move.